How do you inspire kids to be good citizens? How do you launch a student’s understanding of rights and responsibilities? Kids Can Press has a fantastic series called Citizen Kid, written as narratives that captivate readers as young as age 7. The “reveal” at the back of each shows a photo of the actual person behind the story. Four favourites include the following titles. 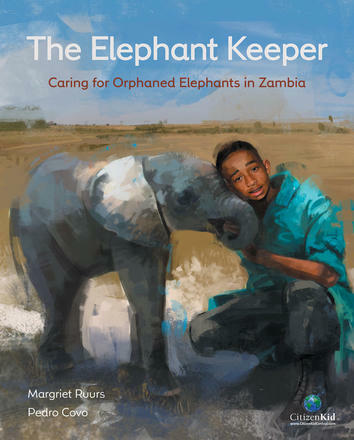 The Elephant Keeper: Caring for Orphaned Elephants in Zambia, by Margriet Ruurs, illustrated by Pedro Coro, is about Aaron, who works at a tourist lodge where he saves a baby elephant from drowning in the swimming pool. The elephant is sent to an orphanage where Aaron struggles to nurse him back to life. 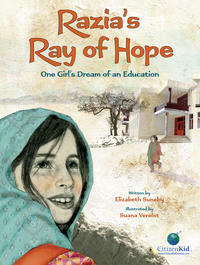 In Razia’s Ray Of Hope: One Girl’s Dream of an Education, by Elizabeth Suneby, illustrated by Suana Verelst, a school for girls is being built in Razia’s war-torn village in Pakistan. Razia longs to attend but her brother says no. She must find a way to prove a literate sister can be useful to her family. 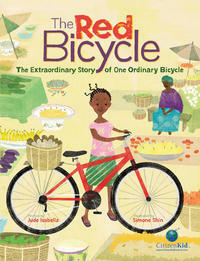 The Red Bicycle: The Extraordinary Story of One Ordinary Bicycle, by Jude Isabella, illustrated by Simone Shin, begins in North America with Leo saving money to buy a bike which he lovingly names “Big Red.” When he outgrows it, he helps disassemble it, along with 462 other bikes, for shipment to Ghana. There, a little girl named Alisetta uses it for transporting sorghum to market. Big Red is damaged in an accident, and is then recycled as a bike ambulance for a local medical centre. 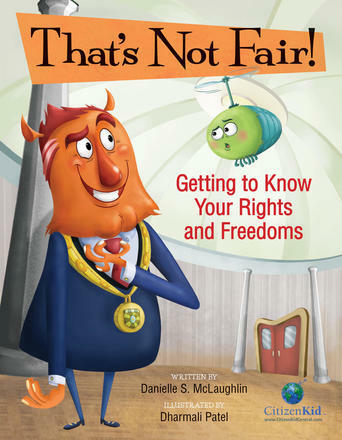 That’s Not Fair: Getting to Know Your Rights and Freedoms, by Danielle S. McLaughlin, illustrated by Dharmali Patel stars Mayor Moe, a colourful cartoon figure who features in six stories, including one where he passes the Hats Off Neat and Tidy Law, but he runs into trouble because Councillor Cuddly has worn a head-covering since she was young. The stories tackle the right to privacy, the right to be safe, freedom of the press, the right to peaceful protest and the right to be treated equally. Each asks three key follow-up questions promoting critical thinking. Canadian citizenship is addressed more specifically in The Day I Became a Canadian: A Citizenship Scrapbook, by Jo Bannatyne-Cugnet, illustrated by Song Nan Zhang. 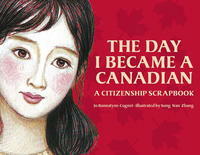 This picture book about Xiao Ling Li and her parents becoming Canadian is formatted like a scrapbook with photo-like drawings of all who were present: a Mountie, bagpipes, a judge (and his wife sworn in during the ceremony), a copy of the Oath of Citizenship and images of the other soon-to-be citizens from thirteen countries. At the back are the requirements needed to apply for Canadian Citizenship. 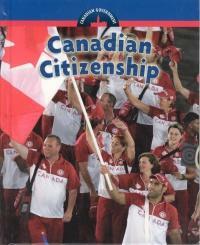 Canadian Citizenship, edited by Don Wells, (part of Weigl’s Canadian Government Series) makes a good independent research resource, with bolded vocabulary, text boxes, and photos, all explaining the history of how rights and responsibilities developed in Canada. It touches on The Charter of Rights and Freedoms, the Human Rights Commissions, and how, in the past, Canada has violated the rights of immigrants, minorities during the war, women, and aboriginals. Also included are a timeline and quiz. Take Action! 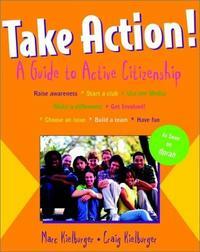 A Guide to Active Citizenship, by Marc and Craig Kielburger, is a perfect DIY for a social justice club. It’s great for Grades 4, 5 and 6, because it offers a comprehensive inquiry model for identifying an issue, and developing a plan of action, which is part of the Social Studies curriculum. It addresses how to write a speech, how to write a request for information, how to make phone calls, how to write a thank you letter, a petition, a press release, and a Public Service Announcement. It explains how to reach out to the school, community and government, and offers 101 fundraising ideas, including 10 crazy ones guaranteed to work. The final chapter includes profiles of activist students; for example, how Sadako and the paper cranes project came to be. For the Grade 5 student reading at a Grade 3-4 level, the Nelson “All About Series” has All About Citizenship, by Jessica Pegis, with ten titles, three of which are relevant to the grade five curriculum. These include: “Becoming a Canadian Citizen,” “Children’s Rights and Responsibilities” and “Citizen Participation,” Each contains 4-6 simple sentences per page, a table of contents, index, glossary, and photos reflecting real people. 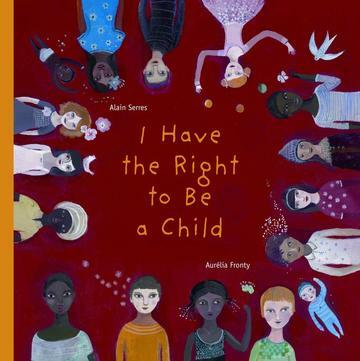 This beautiful picture book is meant to inspire: I Have the Right to be a Child, by Alain Series, illustrated by Aurelia Fronty. It brings to life the UN Convention of the Rights of the Child; for example, “I have the right to be free of any violence,” shows a sharp-toothed creature approaching a child, against an ominous background. 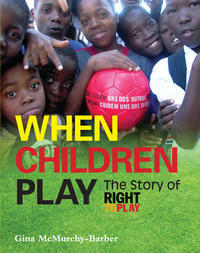 When Children Play: The Story of the Right to Play, by Gina McMurchy-Barber, chronicles the history of the charity’s role in supporting Article 31 of the UN Convention. When the first athlete ambassador flew to Eritrea refugee camps, he thought he’d packed the wrong thing—amidst massive food shortages he’d brought a soccer ball. He was told he hadn’t, that it symbolized hope for a peaceful future, that it allowed children to be seen as more than just mouths to feed. This is a delightful read with positive tales of conquered challenges, as well as the role of big name athletes in the charity. Each chapter is punctuated with one sample game i.e. how to make a homemade ball. Malala, A Brave Girl from Pakistan, and Iqbal, A Brave Boy from Pakistan. Two colourful biographies of child activists in one picture book, by Jeannette Winter. 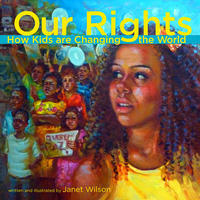 Our Rights: How Kids Are Changing the World, by Janet Wilson, with many biographies of activists around the globe.